Police chiefs in South Yorkshire have used Mental Health Awareness Week to reiterate their commitment to working in partnership with health and social care agencies to support those with mental health problems. Superintendent Tim Innes, of South Yorkshire Police, said: “It is massively important that we raise awareness of an issue as crucial as mental health, as it is something that affects each and every one of us. “The impact of mental ill-health on the emergency services is significant and we must work together to ensure that we are offering those in crisis the support they need. “Mental health issues are often stigmatised and there is a reluctance to discuss what is considered a ‘taboo’ subject. 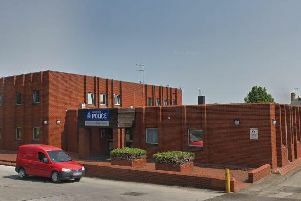 South Yorkshire is one of 13 areas that was asked to trial the ‘Liaison and Diversion’ scheme - an initiative that identifies individuals coming into the criminal justice system with mental health conditions or other vulnerabilities and referring them on to other services to get the treatment or support they need. The two-year trial began in April last year to ensure that individuals are supported throughout the criminal justice system and that they gain access to the appropriate mental health or social care service. Supt Innes added: “In addition to the L&D trial, training has been given to all frontline officers and we continue to operate our street triage scheme, which is perhaps more appropriately known as Mental Health Crisis Response. “This involves a mental health clinician working alongside operational officers responding to incidents.